It’s like trying to browse next door to a demented dentist. The road closures to Hay-on-Wye and the narcotic charm of Ross having failed to stop us finding books, they resort to more drastic measures when we get to the pleasant Georgian town of Pershore. Here, they actually dig up the roads. There’s a pneumatic drill right outside the window of the first bookshop. It’s hard to concentrate, you can’t summon up that elusive state of mind that guides your fingers to the unsuspected volumes. But you don’t give up, even if after fifteen minutes all you’ve got to show is a Geoffrey Household thriller set in the Levant: “I had a hasty breakfast in Beirut”. Might have been quieter than here though. But Mr Howard has found a slim leaflet on old churches, and is on the trail of an antiquarian parson (of which more, by Mr H, in another place, in due course). There’s something I keep going back to and looking at again. Fenland Poems by Peter Barnett. Biba-like Nineteen Seventies title lettering. No imprint, no date. I’m bemused by the bookshop’s note: “4/12. Scarce. £3.50.” The first bit probably means it’s been lingering here over six years. The second part doesn’t quite chime: if it’s so scarce, why so cheap? Let’s see. Self-published. Aha. So, while it might be scarce in Pershore, it won’t be in Wisbech, where it was printed. The author probably gave copies away to his friends. And enemies. Or any passing strangers who didn’t put both hands firmly in their pockets fast enough. But in fact I have sometimes found things of singular interest in such personal pamphlets. And there is something eerie and entrancing about some of these poems. There are ghosts and loners, attic rooms and empty marshes. And a poem about a disused M&GN (Midland & Great Northern) station “Bewitched in the trance/Of faded posters and jaded times”; and another ‘From Liverpool Street to Diss—On An Eastbound Train.' Sort of John Betjeman tinged with hints of M R James. For a moment even the noise of the workmen excavating to Gehenna fades away. The other bookshop says it opens at 11.45. This is a very precise and slightly peculiar time. And it’s not quite that now. So, a walk to the bridge at the end of the town, where there is a tollhouse with Gothick windows and a bowed tree that has just started to drop amber fruit, some of the plums for which the town is famous (they even have a Festival for them). I pick one up: the bloom is still upon it. I’m tempted to try it, but there might be a by-law against plum-plundering, even of windfalls, and a beadle in a tricorn hat waiting to pounce. Besides, should one eat tollhouse fruit? I decide not to risk some mystic taboo, or the Prebendaries of the Plum Cult. Inside the second bookshop, the proprietor has got two radios on in the one room, tuned to different talk stations. It’s as if he’s determined not to be outdone by the first one’s pneumatic drill. There’s a copy of John Cowper Powys’ The Brazen Head and I half expect it to join in with the hubbub, uttering prophecies. Between the babble I’m just about able to focus on Echoes in Cornwall by C.C. Rogers. John Lane The Bodley Head Ltd. 1926. With A Glossary of Cornish Words. By the Same Author: Cornish Silhouettes. Yes, well, I can’t help thinking he ought to have read Mr Machen’s account of the fate of Professor Gregg in ‘The Novel of the Black Seal’ first. That might temper his ardour for flesh-and-blood Celtic Survivals a bit. But no: I see that he has to walk over the moor to The Haunted Pool and sit by its waters on a Prominent Stone. Unwise. 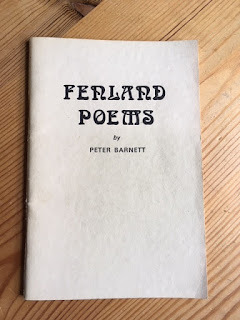 There is also later a wandering poet, the author of Bagdad to Barcelona (I like made-up books in books), who has come to Pandora, an inn and a cove, to get a bit of local colour before moving on. But the place has its own witchery and it is not so easy to leave. These two yarns alone are good enough for me, and I decide to risk the wizened rustics and phonetic dialect that I also glimpse as I skim through. 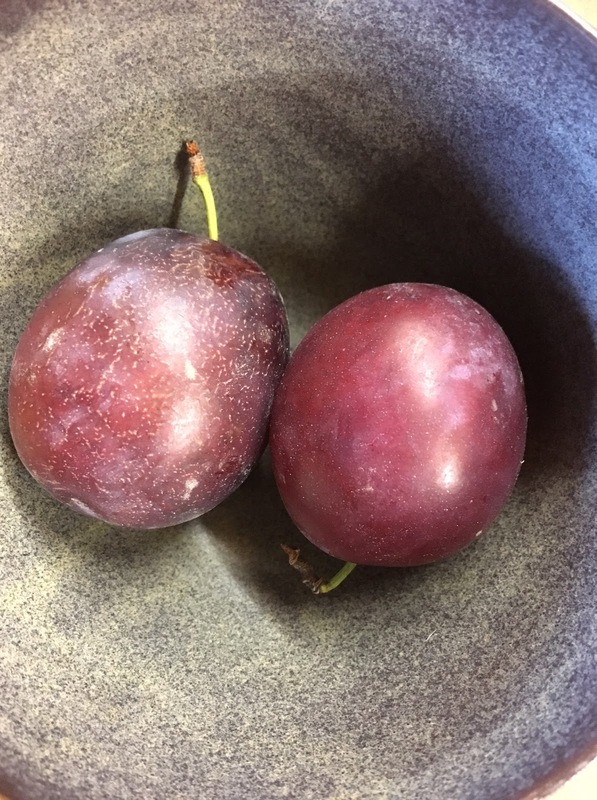 And so with these two volumes I see that there are indeed rare plums to be had in Pershore, and with a curious bloom upon them. Cornish glossary--Not too long ago, I picked up a copy of "The Cornish Ordinalia," a study of three medieval plays by Robert Longsworth. It's still pretty much unopened; I mainly bought it because Longsworth was my Chaucer teacher in college. On a related note: I remember a friend who, when asked on applications to list the languages he knew, always included Pictish. He said that only about a dozen words survive and he had memorized them all. Michael: I heard that story about someone claiming Pictish as a language back in my Cornell days. I've forgotten to whom it applied, but I assume it was a Cornellian?